NEW YORK (AP) — U2 frontman Bono has injured his arm while riding a bicycle in New York City. A posting on the band’s website Sunday says Bono “injured his arm in a cycling spill in Central Park” and will require surgery to repair it. The posting by guitarist The Edge, bassist Adam Clayton and drummer Larry Mullen did not say when or how the accident happened. The bandmates also said they will have to reschedule their planned weeklong appearance on NBC’s “Tonight Show” with Jimmy Fallon. An NBC spokesperson confirmed that U2, which had been booked to appear every day this week, had pulled out due to the accident. 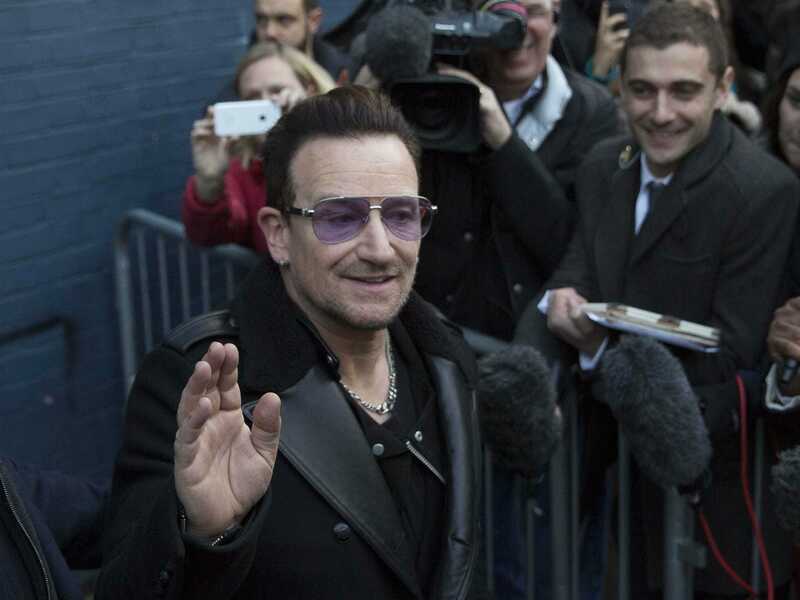 Just last week, German authorities said Bono’s private plane lost a hatch as it was coming in for a landing at Berlin’s airport.